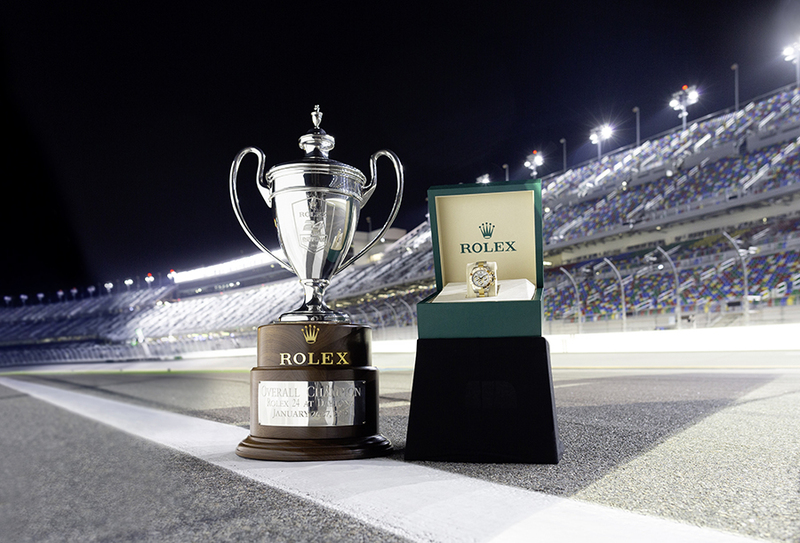 AS tradition dictates, Rolex Oyster Perpetual Cosmograph Daytona watches with special engravings on the caseback were given to team drivers whose car crossed the finish line first at the Rolex 24 At Daytona, the grueling 24-hour motor racing classic held annually since the 1960s at the Daytona International Speedway in Florida. 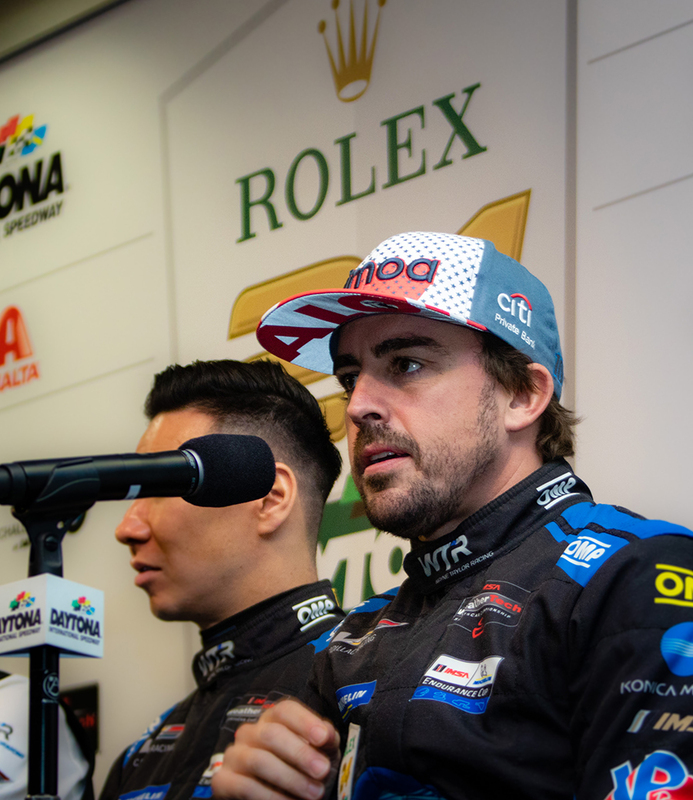 In the 2019 edition held on January 26 and 27, it was two-time Formula One Champion Fernando Alonso, along with teammates Jordan Taylor, Renger van der Zande and Kamui Kobayashi (also a former F1 driver), who took home the special Cosmograph Daytona watches as the quarter drove their No. 10 Konica Minolta Cadillac DPi-V.R. to victory. 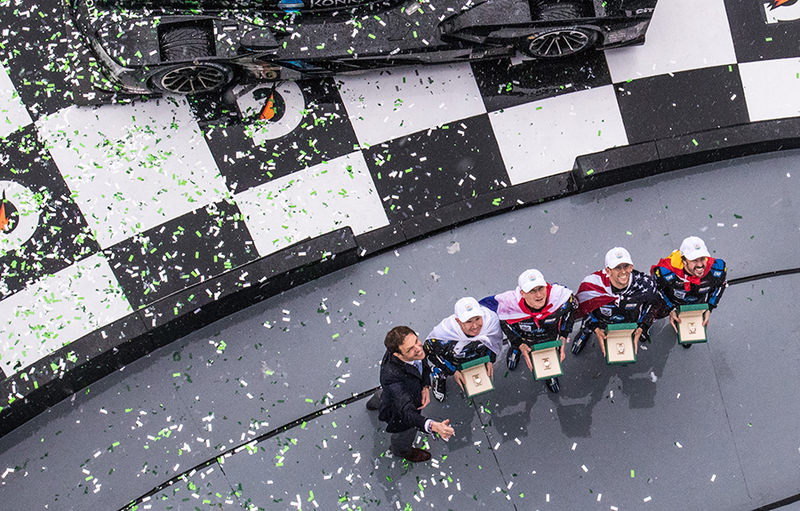 The win did not come easy for the team — the race was even red-flagged minutes before the official 24 hours were up — as competitors had to endure extended periods of torrential rains. The last nine hours were especially challenging. The race officially started at 2:35 p.m. on January 26, with 47 entries immediately battling for positions. The No. 77 Mazda and No. 6 Acura Team Penske led the race initially but, as darkness fell, Alonso rapidly made his way through the pack to put his Cadillac in contention. 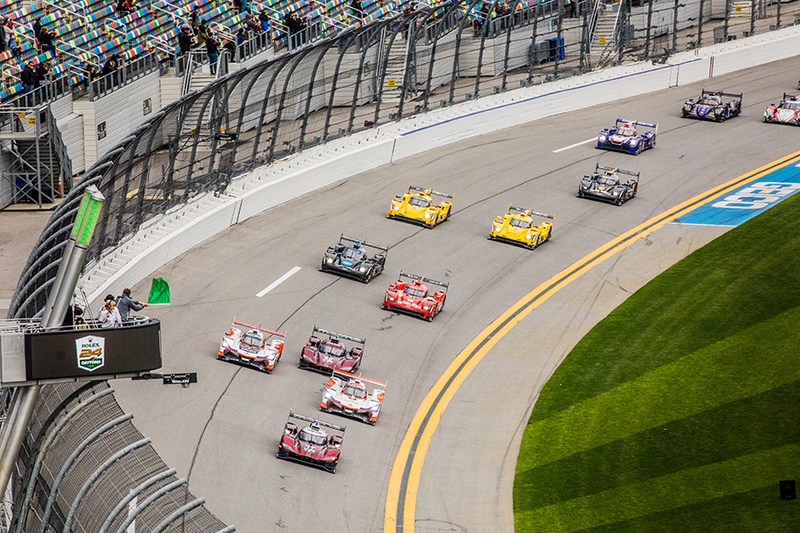 As the track’s Rolex tower clock passed the 14-hour, 30-minute mark, intense rain forced a number of full-course cautions and lengthy red flag periods. Teams had to deal with multiple re-starts as the severe weather persisted into the morning. At around the 22-hour mark Alonso took the lead once more and never relinquished it until the last red flag session put a stop to the race. The win came on Alonso’s only second attempt at Daytona. 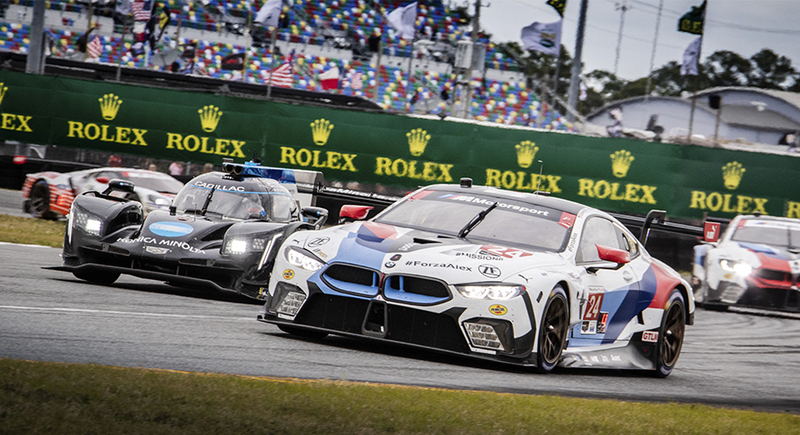 Equally delighted with this year’s race was “friend of Rolex” Scott Pruett, who with five victories at Rolex 24 At Daytona is the winningest in the series. 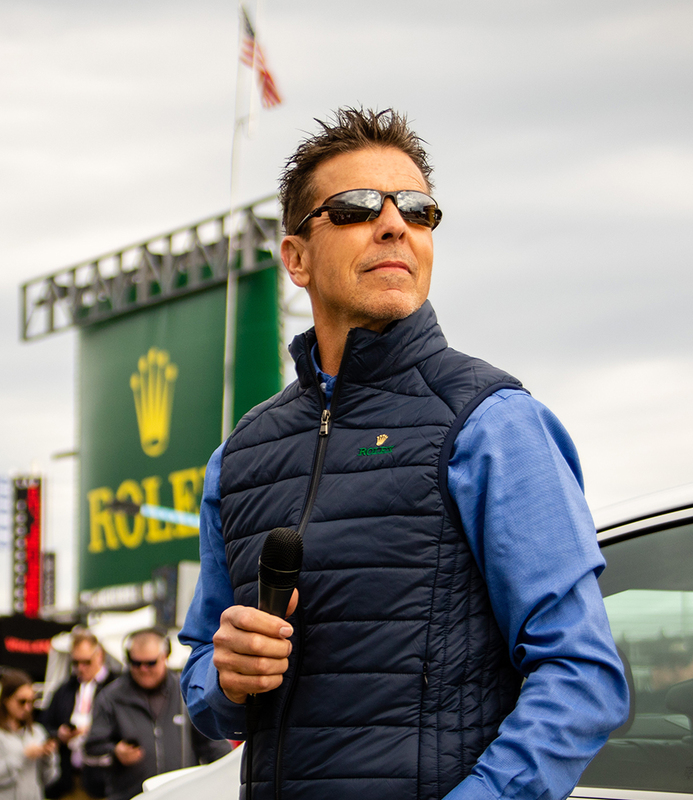 Serving as the 2019 Grand Marshal, Pruett had the honor of waving the green flag that signaled the race start. “It’s been a dream come true to be Grand Marshal, I’m really humbled and it’s been a fantastic experience. The racing was incredibly tight from the start — it was nose to tail — with a lot of action in all the classes. It is unfortunate that we finished under the red flag, but the conditions were so tough and the right call was made. When you drive in these conditions it’s intense and precision is key because, as we’ve seen, if you put a foot wrong, it will catch you out. 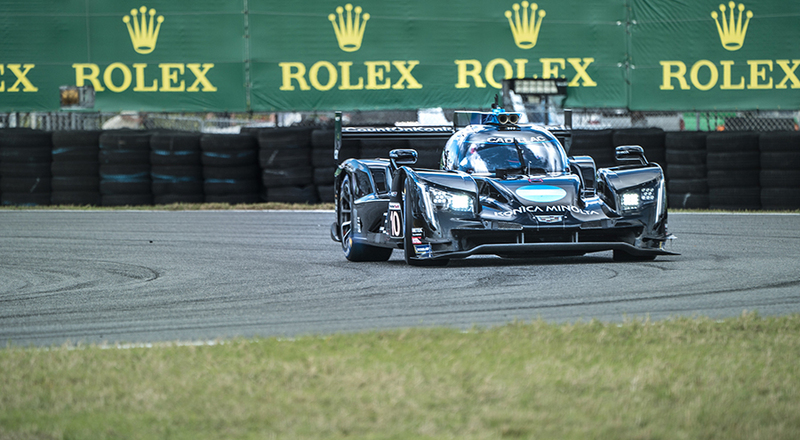 The race, over the last 24 hours, demanded the highest level of commitment, focus and dedication and the drivers have been inspirational,” Pruett reflected after the race. 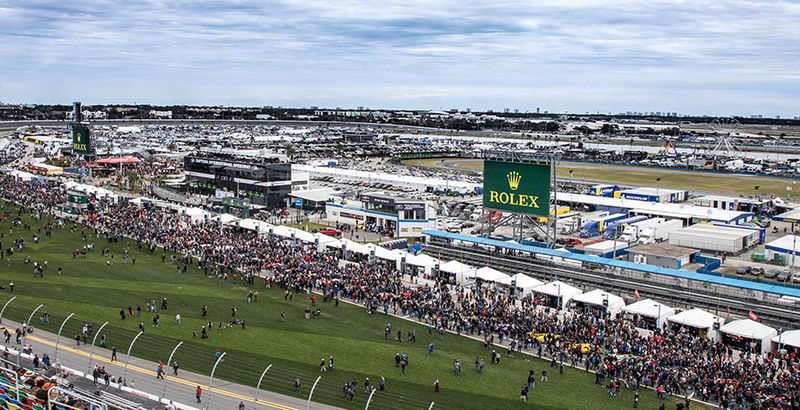 While Rolex became the title sponsor and official timepiece of the Daytona 24 Hours in 1992, its association with the race series and the circuit stretches back to 1935 when Sir Malcolm Campbell set one of his five land speed records at Daytona Beach. Campbell reached a speed of 444kph aboard a Bluebird machine, setting a benchmark at the time. 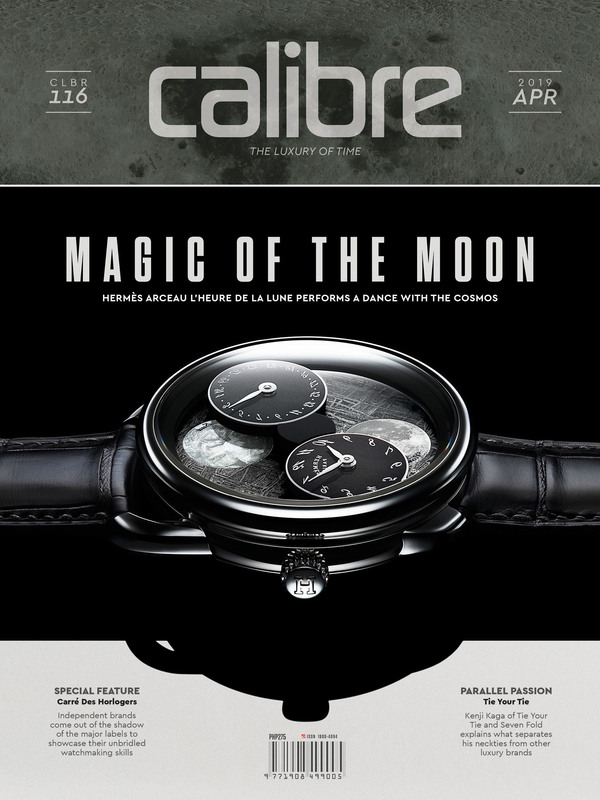 And what watch was strapped to his wrist when he set the speed record? Well, it’s one adorned with a Crown logo.